Padel Berlin - Die neue Tennis - Squash Trendsportart! We count with 2 outdoor courts (1 renewed in 2018) and 1 indoor court not-heated (built in 2017), we also have equipment to rent such as rackets and balls and Padel lessons for beginners, mid and advanced players. 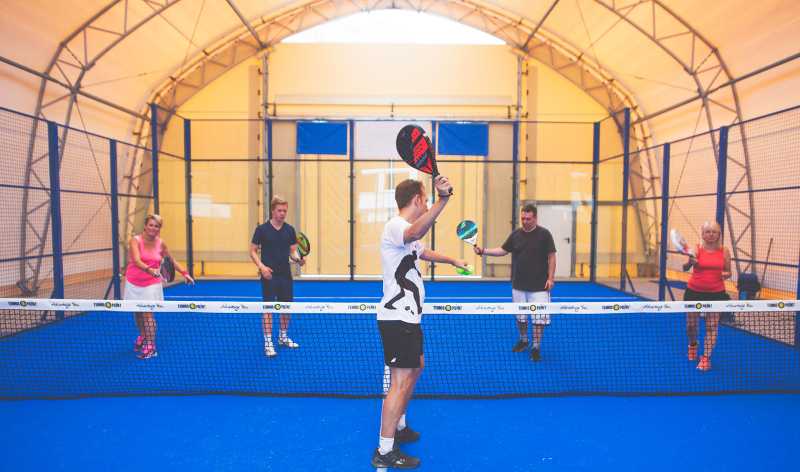 Have you never played Padel before but you want to try for first time? Try a level assessment for 30 min, 10Eur. Do you want to play Padel but you don't know anybody in Berlin? We have our WhatsApp groups where you can find players of your level. Just contact us to make the Level Assessment and right away join your group level to play! Do you want to take weekly lessons? You don't have any Padel equipment? No worries! You can rent in our club indoor and outdoor courts, rackets and balls.